I never, as a little girl, imagined what my own wedding would look like. Never donned a laced pillowcase or forced my golden retriever into a bow tie. As the two closest role models in my life, my mum and aunt are unmarried, I grew up with inbuilt blueprints for independence and a future of likely spinsterdom. Four weddings and a funeral was a favourite household film, but I think that had more to do with Hugh Grant in his ‘curtains’ hair stage. As I grew up, like backpacking round Asia or getting tattoos, marriage had always seemed to me like something other people did. A budget champagne and canape reception? I said it was not for me. You may not be a believer in ‘the one’ or cheesy romantic noughties pop music. But, on my left hand sits a diamond ring. I realised as I got older I wanted a marriage. A wedding is the start of that journey, a testimony to love and matrimony. The flowers, dancing and the smile on the grooms face in his tweed waistcoat. To walk down the aisle on my grandad’s arm in a dress of dubious length towards a man whose relationship with I want to define and celebrate above all others. I want that. Though I may change my mind if he loses his eyebrows on a stag related misadventure. There is something indescribable in the warmth that envelops you in the promise that someone wants to be your husband. Perhaps in my middling age I am turning into a romantic, or some may say, a traditionalist. Getting engaged made me realise I wanted marriage. Getting married made me realise I might not want a wedding. The dark side of the day. Since my partner proposed the reality of the ceremony has left me falling out of love with the idea of having a wedding day. Your Pinterest account will drown in bridal boards of colour swatches and chiffon. The dress, the invitations, the venue, the menu, the cake have to be gingerly hand-crafted and planned. I’m getting at least 1000 Bridal emails daily. If you are seeking a venue expect the addition of extra zeros as soon as you utter the word wedding. Some joyfully offer the use of a cake knife free with a food package that parallels your house deposit. It’s a lucrative market. Weddings are meant to be beautiful but when did expensive become synonymous with beautiful? £23,000 according to Brides magazine. Doesn’t sound very average to me. Costing lists look like this. Photographer-lots, Band-lots, Food-lots. There is no shame in a budget wedding, avoiding the bridezilla mentality I prefer high street dresses to designer, will DIY as much as I can, pick wildflowers. My partner and I will still struggle to afford the basics and with the idea of paying the same for a day than would feed our family for a year. Or five. Weddings are about your future so why in having one are you forced to spend finances that shape that future? ‘It’s the most important day of her life. It’s her wedding day.’ Or is it? 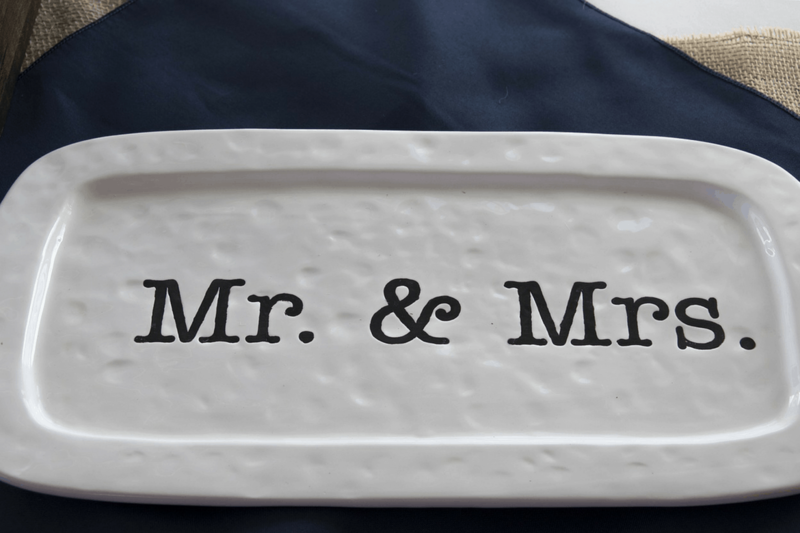 It may be a bride’s big day, but what of the groom? If you are willing to share your life with another human being, your blanks and your sock drawer then a wedding is for two. Or meant to be. Everyone will have an opinion and make comments like ‘that sounds like a lovely idea’ whilst evidently grimacing. Programs such as ‘Four Weddings’ focus on brides ripping each other apart. WHY?! A wedding, however low key, is still a day on which you are, inescapably, the centre of attention. The idea terrifies me. I am already fearful of inadequate center pieces and how to organise table service to 100 people of perfectly portioned chicken. Bride’s loose hair and 40% of their bodyweight, suffer with depression, have wailing banshee rows with their fiancés, the pressure dims the excitement. I don’t think a wedding is for a couple. It is everybody else’s big day. Your parents, cousins, great aunts, friends and siblings. My other half and I have agreed to steal moments throughout the day just to be us, talk and eat cake. Enjoy and face the excitement, laughter, rows and strains together. I do want to be married, I do want a wedding day where I can celebrate in front of friends and my huge Welsh family. A small shindig was never an option. What I don’t want is this sinking feeling that is zapping the happiness of being engaged. The worry about the cost, of expectation and opinion. A wedding day may be filled with delight, but it can also create, anxiety, stress, and aggravation. If anyone pulls out the week before, I may set their house on fire. And then stress cry over seating plans. But I do know that if my partner and I can get through the crap of planning, we can survive a lifetime together. How did you save money on your wedding day? What does it mean for you? Do you want to get wed at all? We’re getting married in just over 3 weeks. It’s a last minute, cheapie day, followed by a cheap city break. It’s my second one, and we don’t need the fuss I had previously! I I got married 10 years ago – a civil wedding in Lyme Regis Guildhall. We had simple flowers and not being one for a fussy wedding I bought a £100 prom dress which was just perfect. A reception in a local hotel and friends taking photos the whole thing cost less than £5000/ I love it when I’m invited to a huge wedding but personally my husband and I agreed that it wasn’t for us. I think it’s all about your priorities. What ever you do don’t stress!! My other criteria was child friendly – my two were in nursery at the time and I paid for 3 of the staff to run a children’s tea party in an adjoining room while the adults ate. My husband and I agreed that we will never get married again! Hi Jade, I meet a lot of couples planning their weddings and more often than not it seems to be a stressful process when it should be the most joyous occasion. I like your honest appraisal though. Good luck with your wedding planning.